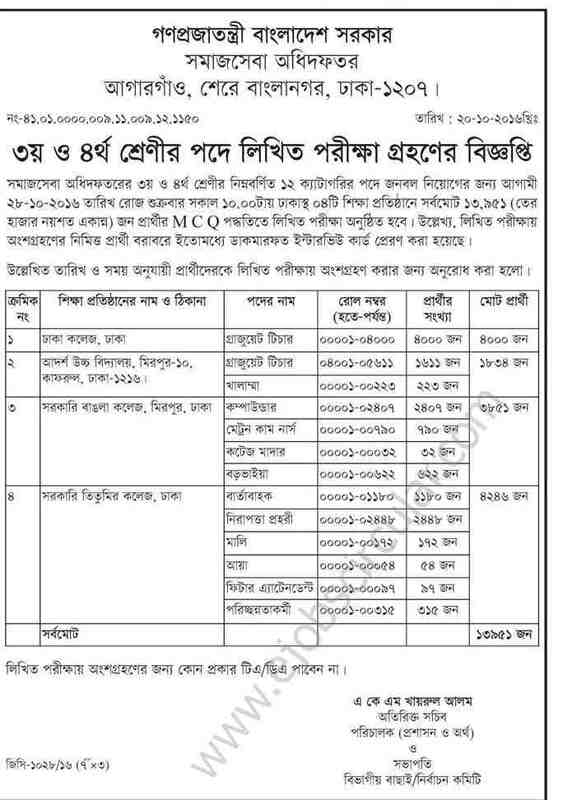 Department of Social Services Written Exam 2016 www.dss.gov.bd published New Notice about Department of Social Services Written Exam 2016. DSS.GOV.BD written Exam will be held on 28 October 2016 (Next Friday). Exam will start on 10 AM at 4 different Institute. Total Applicant 13,951 . Check your roll and Seat Plan below this Notice. You can get all information about this exam.